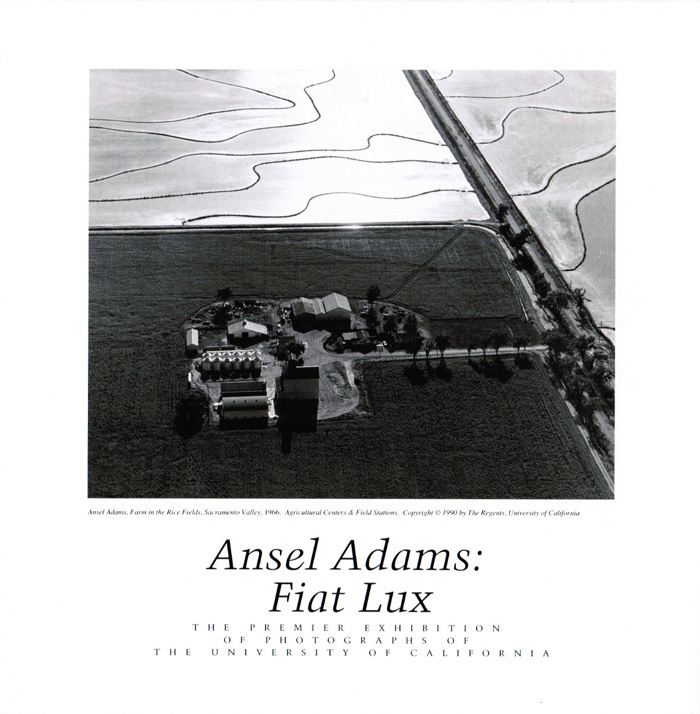 Commissioned by the University of California's President Clark Kerr in 1960, Ansel Adams' Fiat Lux is a series of photographs depicting the nine University of California campuses. The University's motto and biblical reference, Fiat Lux or, rather, "Let there be Light," serves as the title to Ansel Adam's series of photographs. Each photograph artistically employs the University's motto, Fiat Lux, and highlights the distinct knowledge and prestige associated with each campus.